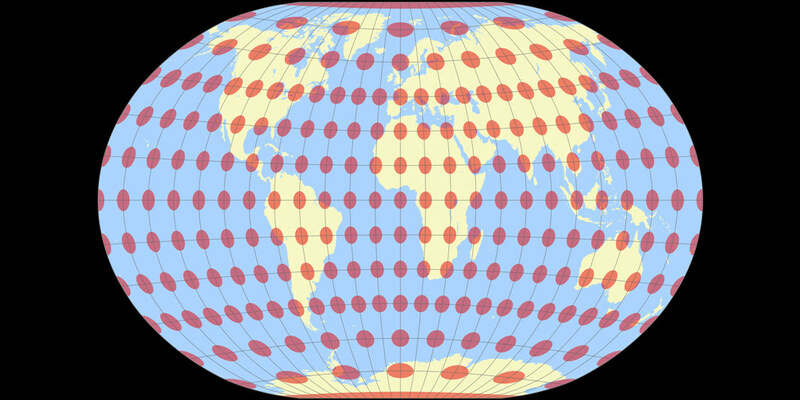 A4 Projection Map Projection Image, with Tissot’s indicatrix at intervals of 15° (bigger intervals near the poles). A4 Projection Map Projection Image by Tobias Jung is licensed under a Creative Commons Attribution-ShareAlike 4.0 International License. Image includes Tissot 15deg.png by RokerHRO. Generated with G.Projector, Geocart or Flex Projector.